A review of Arch Health Insurance Company leads to an insurance group that specializes in insurance to the construction, energy, health care, and real estate industries. Products are sold through independent brokers who work in the Northeast, Central, Southeast, and Western parts of the United States. If you are looking specifically for personal health insurance, enter your zip code in the free box now to compare health insurance rates from several companies. 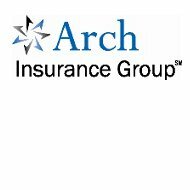 Arch offers generalized insurance products that apply to the four areas of industry they insure as well as customized policies specific to those industries. The generalized products are accident insurance, health insurance, and builders’ risk. These are available for traditional businesses within the four industries or for alternative businesses. Arch’s Casualty division of insurance includes energy casualty, excess casualty, and specialty casualty. Energy casualty insurance is for those in the onshore oil, gas, independent power, and mining energy fields. Anything involving thermal, wind, hydroelectric, waste energy, methane recovery, natural gas, solar energy, or alternative energy is covered. Excess casualty is for companies that have a lot of risk such as construction workers, commercial contractors, electricians, plumbers, steel erectors, carpenters, and excavators. These workers take on risk whenever they operator large machinery, work with heavy duty tools, and work on scaffolding. Excess casualty covers major injuries and disability. Arch’s Specialty Insurance is for businesses that are hard to insure because they involve a high amount of human traffic. Businesses that experience a variety of people coming in and out are susceptible to possible injuries, as well as lawsuits from individuals who are hurt on the property. This is especially true for businesses that sell food. For this reason, specialty insurance needs to be carried. Some examples of businesses that need specialty insurance are malls, office buildings, apartments and other inhabited dwellings, restaurants, bars, night clubs, retailers, student exchange programs, and any place that sells liquor. Niche markets such as bowling alleys and roller skating rinks can also have access to specialty insurance. Arch Insurance groups does not hire insurance agents, instead they use insurance brokers. Brokers are not actual employees of the company but they enter into a contract with different insurance carriers. Brokers work for the client and can lead the client to many different insurance products and carriers. This means that Arch does not have to provide benefits, full salary, and other types of employee benefits to the brokers they contract with. However, it also means that the brokers are contracted with more than one company, so they may not always choose Arch when finding insurance for their clients and customers. For a nationwide company, brokers are expected. This way they can cover a large amount of territory without a huge amount of overhead. Brokers do get a portion of every policy they sell, but it is still worth the cost to Arch and other insurance companies like Arch so they can have a nationwide presence and bring in more customers. Even though Arch is a nationwide company with brokers representing them across the country, they have streamlined their claim reporting process to make it as simple as possible for customers. After an accident or damage, there is often a lot of stress and questions to be answered. By streamlining the process, Arch can help clients get on the road to recovery quickly. No matter what type of claim you are filing or where you live in the United States, you can report a claim by mailing the claim to a P.O. Box, calling a toll free number, faxing to a toll free number, or sending an e-mail to the claims department. You can do any of these options 24 hours a day, 7 days a week. Once a claim is received, it is processed by the department that specializes in that type of claim. An injury claim is different than a vandalism claim, which is different still than a theft claim. The specialists in these departments can determine if all the correct and needed information has been supplied. The filer will be contacted if any questions arise while processing the claim.